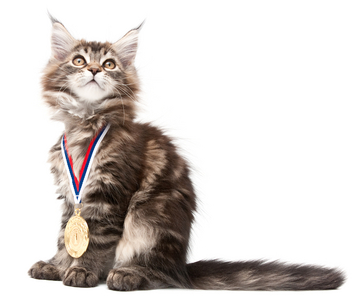 U.S. PET SPENDING DEMOGRAPHICS: The 2014 Winners and Losers are…. In a recent post we identified the demographics of the “Ultimate” Pet spending household. Unfortunately, there are just not enough of these “prime” households. So we took the next step and bundled the subsets together for each category until we could identify a group with a dominant market share. Our goal was 80%. This produced some interesting results. Metro area dwellers, Homeowners, white but not Hispanic, 2 or more people living together and those with an income over $30K are all groups that generate 80+% of Pet Spending. With over 80 segments in 12 different demographic categories, it is natural to wonder, “Which individual segments are performing best? Who are the winners…and losers?” This report will address those questions. The chart below identifies the best and worst performing segments in key demographic categories. The performance of each segment was determined by comparing the share of total pet spending to the share of households. Ex: If a segment accounts for 10% of households but generates 15% of Pet Spending the score is 15/10=1.5 = 150%…a great performer. However, if the situation was reversed, 10/15=.67 = 67%…not good. The under 25 age group was the worst of all the underperforming segments. Improving the pet spending of this demographic should be an Industry priority. Make it easy to get started as a Pet Parent. Consumers of all income levels have pets. However, income is undeniably a factor in spending. This is reflected in the spending of single parents and service workers as well as the lower income segment. Having more space and “owning” it are two keys to increased Pet ownership and…spending. You can see the impact of this in Center City dwellers and renters. Pets are a great companion for singles, but get 2 adults together and pets are more likely to “follow”. The Asian underperformance is curious. They have the highest H/H income but spend the least on pets. Higher education generally means increased Pet Spending. However, Pet ownership is not dependent on education. In fact consumers who dropped out of HS spent more per H/H than HS grads with no college. In the next chart we’ll “Show you the money”! We’ll identify the demographic segments within each category with the biggest gain or loss (or smallest gain) in Pet $pending from 2013-14. Age & Occupation – Want proof of the impact of the Baby Boomers? Almost half the industry’s growth comes from the over 65 age group…and “retired” was the #1 “occupation” in growth contribution. Over 600K “Boomer” H/H’s turned 65 in 2014. Now on the Flip side: The tech, sales, clerical occupation lost 5% in income and 2% in H/H’s so their Pet purchases fell sharply. The 45-54 age group makes the most money and their H/H Pet spending went up…but over 600K “Boomers” moved up to the 55-64 so group spending fell. Income – 14% of the H/H’s (over $120K) account for 82% of the Industry’s growth. The lowest incomes are being impacted by rising Veterinary prices. Race/Ethnic – 70% of H/H’s (White) account for 87% of Pet Spending and 105% of the increase. There is definitely a racial/ethnic disparity in Pet spending. Highest Education in H/H – Although Consumers with a Master’s Degree or above spend more on their pets, pet parenting is not about education. 61% of U.S. H/H’s don’t have a college degree but their pet spending increased 15% and they accounted for 64% of the $6.6B increase. Those H/H’s with a BA/BS spent significantly less on services, driving their overall Pet expenditures down. H/H Size – It just takes 2…or more! Single person H/H’s spending was down. H/H Composition – Married Couples, with or without children, accounted for 124% of the increase. The combined Pet spending for Singles, Single Parents and all other combinations was down…a total of $1.6B. Region – Pet Spending was up in all Regions. However the Midwest was up 26% and the South…only 1%. Area Type – Consumers in areas with under 2500 population spend the most but we are growing more Urban every day. There is strong growth both in Rural sections within metro areas and center cities. The Suburbs have the biggest share of Pet Spending at 46% but their spending per H/H dropped 4% in 2014. Housing Tenure – Homeowners account for 80% of Pet Spending but 2014 was a really good year all-around as Renters pet expenditures increased $2.9B..↑23%. Three “opportunities” seem readily apparent. Keep the aging/retiring “boomers” spending on their pets. Get the under 25 group started faster.